She was a 27’s solo singer and on the peak of her carrier. She had wealth, huge popularity, loyal fans and good family. Everything, except openness of her relationship. But it was something fine for her. At least, she and her partner could understand each other. That’s the point. It was a public secret, that every stars couldn’t date anyone freely. Even, they signed an agreement with their agency to be loyal as ‘a single idol’. But the condition was not easy. That’s why some of them chose to have a backstreet relationship. Believing in someone in entertainment industry was hard. Too risky to tell people. The more they knew, the more their secret would be revealed. Therefore, Taeyeon and her partner tried to work their relationship just between the two of them. It didn’t last as some of their close friends got the hint. Fortunately, they were the believable. 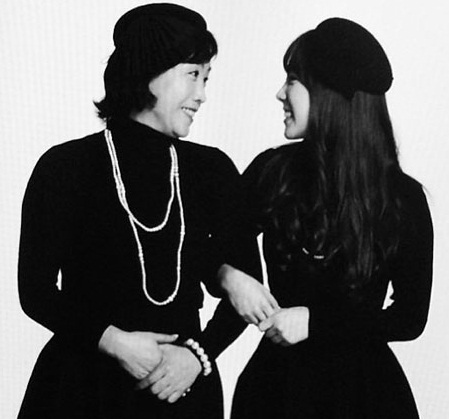 Seeing her daughter smiled alone, the woman who was called “Umma” by Taeyeon just kept silent. She almost blurted out her thought. But later, no words came. “Uh, Umma?” it’s Taeyeon again, but her smile faded. Taeyeon’s eyes blinked. She walked toward her mum. Screwing up her status, as usual, she kneeled down. Her hands gripped her mother hands. She looked up and shot the woman with her onyx eyes. The worry look. “Tae,” Umma avoided the gaze battle. “Umma…” Taeyeon still searched something that could convince her self about Umma’s opinion toward her relationship with Baekhyun. She saw a tear dropped. She analyzed the crystal came from Umma’s left eye. It meant… sadness. Taeyeon didn’t expect something like this happened. She thought, she could do ‘dorky action’ after telling her mother the truth. One of the reasons why she was really sure… Umma was one of Baekhyun’s fans. But, why? “Please, Umma?” Taeyeon unmoved, “I love him and he loves me. You also love him, right? What else?” She pleaded, angry tone could be heard there. It’s a little surprising for Umma to see Taeyeon jerking her foot while standing. But she was also afraid that Taeyeon was really mad. It was not something good at all. At first, she was glad. She and Taeyeon were in a place and having intimate talk. Sharing private story with Taeyeon was something rare and precious. But she never knew that her daughter would bring the most difficult thing to be permitted; engagement – and – marriage – with – Baekhyun. Taeyeon would launch her third album. But before that, the management gave her 3 months to rest while the agency would prepare the concept. In Taeyeon mind, it would be wonderful if she convinced her relationship with Baekhyun, her dongsaeng as well as lover. She imagined when launching her new album, she would get a new energy too. But, sometimes the reality provided otherwise. This time, Taeyeon kept silent. Deep in her heart, she regretted for telling everything with her Umma. She was accustomed to be introvert and this experience made her believing in something, that telling people didn’t mean her problem solved. In contrast, she got more trouble. It sucked. Surprisingly, Taeyeon went backward. The more Umma stepped forward, the more Taeyeon avoided. After few minutes in silence, she went out, leaving her Umma who cried alone.